The Claymation Effect is a one-of-a-kind tool for turning ordinary footage into a stop-motion clay animation. What would normally take weeks to create can now be made in seconds in After Effects. Watch the Demo Video for Claymation Effect. 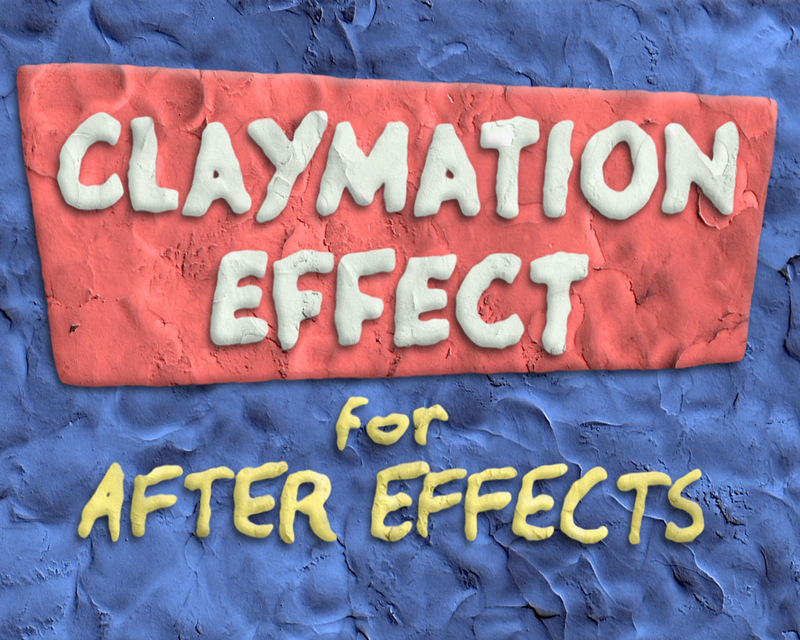 The Claymation Effect: an After Effects template for CS5 and above. The Claymation Effect converts your footage, photos, or other media into a stop-motion clay animation. Realistic, simple to use, and totally unique - this template allows you to just drop in your content, and instantly render a claymation video. Customize the detail level, frame rate, 3d depth, and colors with convenient slider controls. Use the colors from your footage, or assign unique colors to the individual “clay layers”. It works on everything from logos and text to video footage, and looks especially realistic with simple 2D animations. What would normally take weeks to create can now be made in seconds in After Effects!